The brown trout (Salmo trutta) belongs to a different genus than our native trout species. They evolved in Europe and western Asia and were introduced to North America in 1883 and to Montana in 1889 in the Madison River. Today brown trout are found throughout most of Montana except the northwest and parts of the east. Generally, they prefer lower gradient, larger streams than cutthroat and rainbow, and they also do well in many reservoirs. Brown trout were widely stocked in the first half of this century, but today most come from natural reproduction. Brown trout are great competitors and generally are more tolerant of dewatering and other environmental disturbances than our other trout species. The state record is 29 pounds, and large fish are not at all uncommon, although 12-20 inches is the usual size range of adults. Brown trout spawn in gravel redds like our native trout but their spawning season is in the fall. This gives them a distinct advantage in some habitats since their spawning and incubation period lies outside the irrigation season. Brown trout are more predaceous than rainbow or cutthroat. 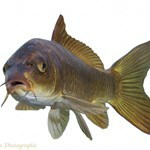 Large fish often feed at night on other fish as well as crayfish and other invertebrates. Makhabn is a Peigan tribal name meaning “river where the bow reeds grow.” When settlers began to arrive in the area the river became known as the Bow, although Big Fish River may have ... morebeen a more appropriate name since this is the reason why the Bow is so famous. Anglers in pursuit of 20+ inch trout need to put this on their bucket list, for the wild rainbows and browns in this river have one of the fastest growing rates to be found on any river system in today’s world. The Bow rises in the Canadian Rockies inside Banff National Park near the foot of Mount Gordon and flows from glacial Bow Lake southeastward through lush mountain terrain. 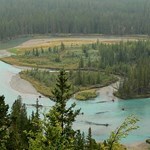 After passing past the towns of Lake Louise and Banff, the river exits the park and heads eastward and flows through Calgary. 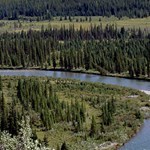 Its journey continues for a total of 365 miles before joining the Oldman River and forming the South Saskatchewan River. While the river is open year-round for fishing, the optimal time to fish is after the spring runoff from mountain snowmelt. 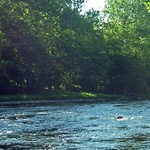 Runoff usually occurs in late May or early June, and in a typical year the river is ready to fish by late June. Most guides agree that the months of July, August, September and October are prime for catching trophy trout. 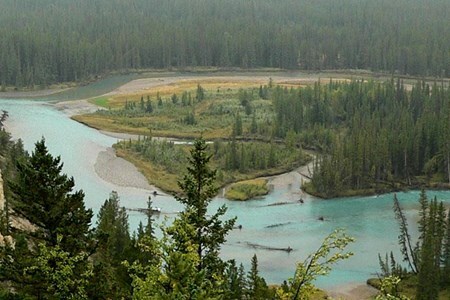 Downstream from Calgary are 40, highly coveted river miles of great trout fishing. This blue ribbon water is where the really big trout are concentrated and where snagging a trophy is most probable. Most parts of the river are not easily waded, so most guides suggest floating or drifting. If you hanker for a wilderness experience and decide to wade or fish from the banks, tread softly. Wildlife is abundant and active; bear spray is highly recommended. It must be evident that the Clearwater River gets its name from the clarity and beauty of its water. Located entirely within the Canadian Rockies and the foothills of the Rocky Mountains ... moreof Alberta, this glacier fed river is a tributary of the North Saskatchewan River. 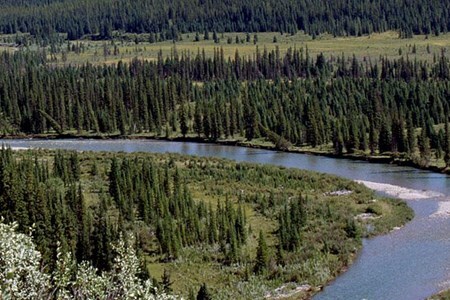 The river originates within the borders of the legendary Banff National Park on the southern slope of Mount Wellington. From Mount Wellington it flows into Devon Lakes at Clearwater Pass, then drops down 1,300 feet to Clearwater Lake. At Trident Lake, about a mile down from Clearwater Lake, the water becomes navigable by a small craft or canoe. After exiting the park, the river changes direction several times before it approaches Rocky Mountain House and empties into the North Saskatchewan River. 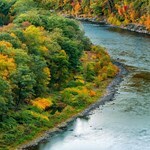 New Yorkers can be thankful to the Neversink River for providing a good portion of its pristine water supply. Anglers, in turn, can thank the city slickers for building the Neversink ... moreDam and Reservoir and creating a fantastic tailwater. 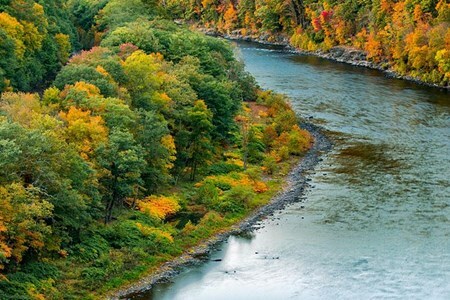 Beginning high in the Catskills, the river flows in two parallel branches until it reaches the town of Claryville and becomes one large stem. The two branches remain mostly private as are other sections of the upper river. Some easements have been granted and are posted. 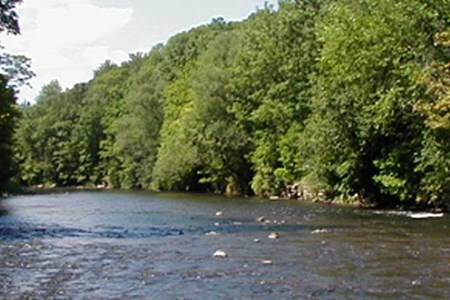 Famous for its storied past, the Neversink is thought to be where dry fly fishing came into being. In the late 1800’s Theodore Gordon established a home in the area and is credited with creating imitation flies that appeared so real, the fish jumped for them. Considered the “father of fly fishing” his Blue Quills, Red Quills and Quill Gordons are still in use. 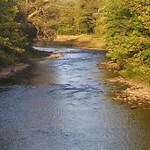 Other luminaries fished this river including Edward Ringwood Hewitt, George M.L. La Branche, Justin Askins and Phil Chase to name a few. Ironically, both the Gordon and La Branche properties were flooded over when the reservoir was completed. The tailwater below the reservoir provides cold water and the water remains cool throughout most of the year. Shade trees along its banks also aid in maintaining a temperature friendly, trout habitat. Brookies tend to dominate the upper river although the river also supports browns, rainbows and the rare tiger trout. The tailwater section is managed as catch-and-release-only and restricted to artificial lures. There is good public access at the Neversink Preserve, land set aside by the Nature Conservancy to protect the area’s intact, floodplain forest. Designed to protect migratory fish, the floodplain is also home to important wildlife including bobcats, bald eagles and black bears. People have been drawn to these waters for over 100 years. Both the river and the Roscoe area of the Catskill Mountains were among the nation’s earliest resort destinations, a tradition ... morethat carries through today. Famous fishermen spent time on this river including Theodore Gordon, A. E. Hendrickson, Joan and Lee Wuff, Harry and Elsie Darbee and many more. Fed from fresh water springs, this freestone river flows for over 40 miles before it joins the East Branch of the Delaware. Its upper section is narrow, rugged and steep. Surrounded by trees, this part of the river remains shaded and cool throughout most of the year. From Balsam Lake to Shin Creek the river widens out and forms numerous pools and riffles. Hikers as well as anglers come here to see Jones Falls, a 40 foot drop into the river. From Shin Creek to the famous Junction pool, the river keeps widening and reaches over 70 feet across at many points. Arguably it’s at Junction Pool, the place where the Beaverkill and the Willowemoc join, that the real action starts. Doubling in size, the river acquires a colloquial name – The Big River – and the water fills with churning riffles and deep pools. 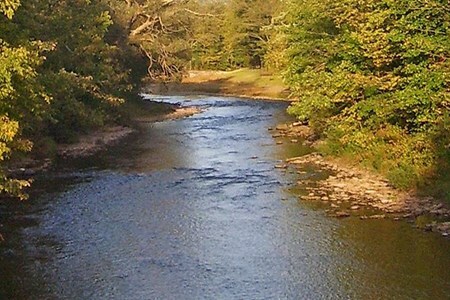 Within a 2 mile long catch-and-release-only section, Horse Brook Run is considered to be the finest pocket water on the river and one of the best in the region. Carin’s Pool, a deep, fish laden, pool of water, is a favorite among locals and visitors. Last but not least, the remaining 10-miles of the river are comprised of long, shallow riffles and pools. Desirable areas to fish here include Painter’s Bend, Cooks Falls and a section known as the Flats. Below Cooks Falls is a no-kill section with several well marked areas to fish. 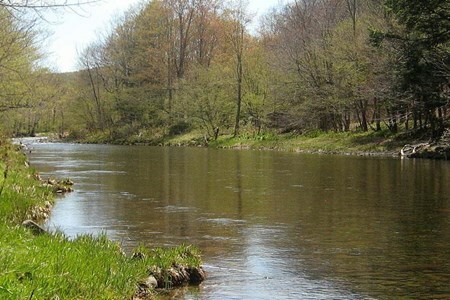 The last six miles of the river are largely shallow and slow moving although the Beaverkill stops at Keener’s Pool with a happy ending, since Keener’s is chuck full of luscious, big trout. Undammed, pristine, freestone rivers tend to be rare these days, and may help account for the Willowemoc’s increasing popularity. 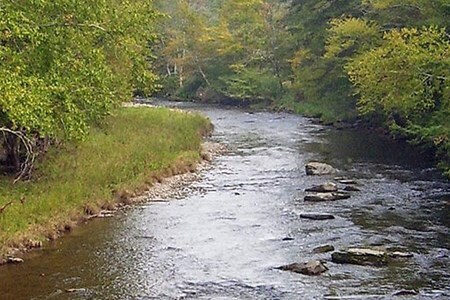 Located in the southern Catskills and a tributary ... moreof the better known Beaverkill River, the Willowemoc is now often favored for its easier access, numerous cold water tributaries and less educated, easier to catch fish. A large stream that runs over 26 miles, this creek has continuously been a fly fishing destination since the 1870’s. 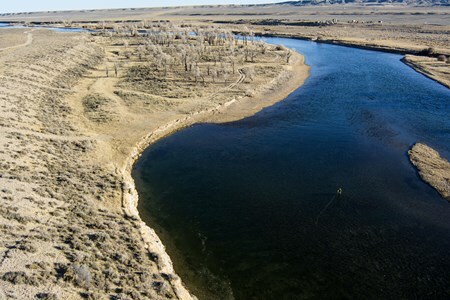 Anglers divide the river into three distinct sections. Similar to many other rivers, its upper section from Fir Brook to the village of Willowemoc, is narrow (15-20 feet wide) and is characterized by clear pools and a silted bottom. 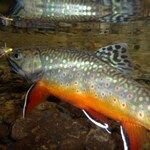 Wild brook trout can be found here in large numbers but the fish are typically rather small, from 6 to 12 inches. Its tributaries are slow and gentle, providing scores of wade worthy pools. Spring fed tributaries contribute to keeping the water cold throughout most of the year. Public access in the upper stretch is good although some tributaries are restricted. 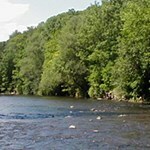 From the Village of Willowemoc to Livingston Manor, the river opens up, reaching 50 feet across at many points. The bottom becomes rockier and boulders begin to rise out of the water. In the faster moving water and larger pools, brown trout start appearing in large numbers and soon equal the number of brook trout. Both fish remain small, staying in the 8-10 inch range. There is one, six-mile private segment and a catch-and-release-only section. Beginning at Bascom Brook, the lower section grows even wider, opening at some points to over 100 feet. Riffles and deep pools are common and here the creek begins to mirror the larger Catskill rivers in the region. Stocked brown trout, ranging from 10-15 inches, inhabit this section. Rich in fly fishing history and lore, the main stem Delaware is considered by many to be one of the best trout fisheries in the world. Cold water releases from the Cannonsville and ... morePepacton reservoirs create ideal habitat for the fish and the abundance of insects brings them to the surface. 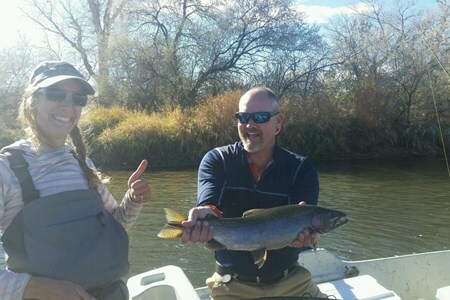 Tales of how the river acquired its remarkable rainbow population differ on the particulars, but everyone agrees that after being stocked in the late 1880’s, the fish have thrived here ever since. Construction of the two dams transformed both the East and West branches into trout friendly, cold water fisheries. Beginning at Hancock, New York, the two branches converge and form the main river, adding water that remains cold for many miles into the main stem. 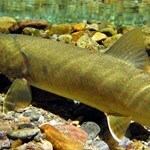 The main stem is comprised of long, slow moving pools that are interrupted by shoals and swift moving riffles. Anglers find this freestone river both challenging and rewarding – challenging because the fish are savvy and not easily fooled, rewarding because the trout average between 15-18 inches and most are wild. 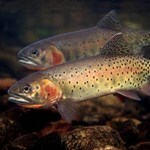 Rainbows here are said to be from the McCloud River strain, known for their willingness to fight and fight hard. Trout in excess of 20 inches are not common but can be found and taken. America’s Great Waters Coalition, a group founded by the National Wildlife Federation, includes the Delaware as one of only 19 designated Great Waters in the US. The only drawback to fishing here is that while the water is publicly owned, the river banks are mainly private and permission is required to gain access. Limited public access can be gained via Route 97on the New York side of the river. 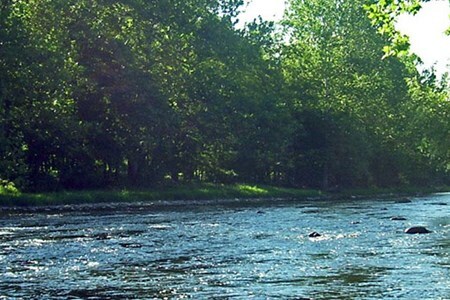 Many anglers consider the West Branch of the Delaware host to the best trout fishing in the Catskills, and some of the finest wild trout fishing east of the Rocky Mountains. And, most ... morealso agree that action in the West Branch really begins at the Cannonsville Reservoir and continues on the 11-mile tailwater that follows. The dam controls most of the Delaware releases and typically sends enough cold water into the stem to support year round fishing. This constant water flow gives the trout an extended growing season, which may account for their large size, population density and ability to sustain a challenging fight. Below the dam the river first flows through a few rapids, then around a series of small islands and eventually opens to a wide main channel with long pools and short sections of rifles. One of the river’s main attractions is that it can be easily waded (at times from shore to shore) and has a relatively level bottom. While most of the fish in the West Branch are brown trout, there are also brookies and rainbows. All of the fish are wild although a two of its tributaries are occasionally stocked, and in theory it’s possible for these fish to enter the main channel. What’s most important to anglers is that the West Branch has more trout per acre than either the East Branch or the Delaware proper. Access to the river is excellent with over a dozen well marked public points of entry and parking. 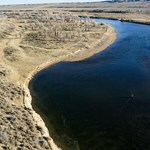 One word of caution –sections of the riverbed are privately owned and may need to be floated to fish. 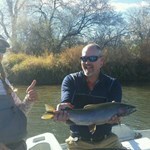 On the upper river there is a 2-mile section limited to catch and release. 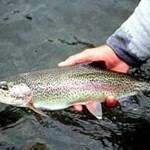 Trout here average over 12 inches although fish up to 18-20 inches are not uncommon. Browns over 20 inches are plentiful and locals will be the first to tell you that many trout over 30 inches have been pulled from these waters. 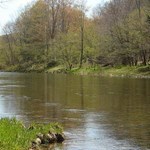 Originating from an unnamed pond northeast of Hancock, New York, the East Branch runs for 75 miles. What matters though to anglers is stretch below the Pepacton Reservoir, a cold, ... morerich tailwater that provides great habitat for trout. From the Downsville Dam to its confluence with the Delaware, enthusiasts can enjoy 33 miles of truly great fishing. 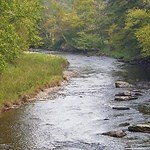 Like many rivers, the East Branch is thought of in two sections, the upper and lower. Small and narrow, the upper water is cold and clear, assuming many characteristics of a freshwater stream. It winds through a tree lined, scenic valley with long flat pools and braided channels formed by a series of small islands. 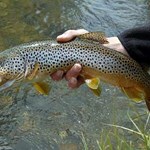 Remaining cold throughout the summer season, both wild and hatchery born brown trout thrive. Less abundant are wild rainbow and native brook although they are there to be found and taken. Near the town of East Branch and its junction with the Beaverkill River, the lower section begins. At this point the river widens out, varying from 75 to over 150 feet across. Flows become slower with the appearance of deep pools and limited riffles. During the warm summer months the river tends to heat up, forcing the fish to flee to the cooler, upper Branch waters or the main stem Delaware. Gravel covers much of the river bottom but there are boulders and ledges where fish can hide. 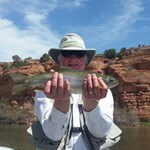 A mix of wild and stocked fish run the river, with browns dominating the upper section, rainbows the lower.